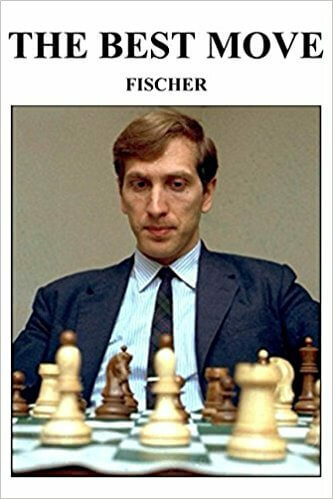 Robert Fischer was a great tactician, but even greater positional player. In a recent study I conducted, I ascertained that Stockfish does not see around 40% of Fischer's positional moves. Below a range of such instances. Stockfish sees the move, but its assessment is completely wrong: it thinks black has the advantage after e5, when actually white is much better. 9...g5!! (I like this a lot as a nice positional move, hence the second exclamation mark), removes the f4 pawn from its role of guarding the e5 square, so it becomes an outpost square for the black knight. After 10. fg5 hg5! 11. 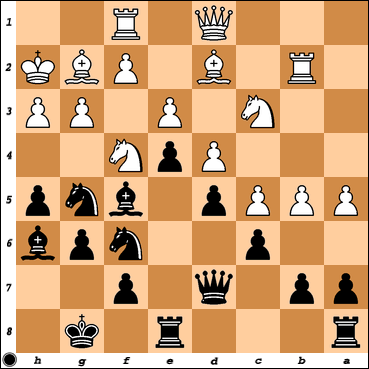 Bg5 Nbd7 and Ne5, black has fully equal. Fischer played 10...Nfd7, using the pin of the g5 pawn, which can not capture, as the bishop on h4 is hanging, but after 11. Qh5, preventing a capture with the h pawn towards the center, white gets considerably better. 19. Nd5!! (I give 2 exclamation marks here, for the extremely unusual setup). This wins the minor exchange, both after 19...Bd5 20.ed5 and 19...ed5 ed5. Ne7 check and Nb4 with subsequent capture on c6 also threaten. Stockfish prefers 19. Nd7 trade, which only leads to a draw. 15. Bf6!, trading strong bishop for weak knight, but after 15...Bf6 16. Bd5! (using the fact that the black light-square bishop and rook on a8 share the same diagonal) Rac8 17. Bc6 Qc6 18. Rf2, protecting the c2 pawn, followed by Nd5, white gets excellent knight outpost on d5, the blocked d6 pawn is fully depreciated, while the black dark-square bishop hemmed in by the central e5 and d6 pawns on squares of same colour. This is already won for white. Stockfish sees 15. Bf6 (sometimes on the next move, with 15. a4 b4 included first), but not 16. 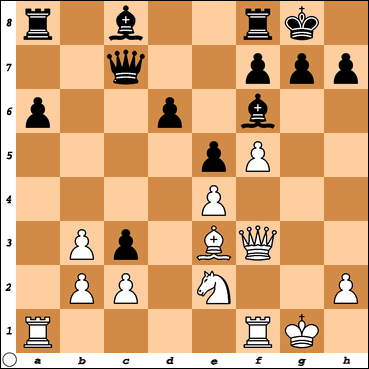 Bd5!, which is the key move. Instead, it goes for 16. 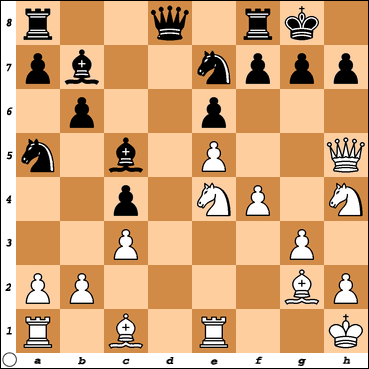 Nd5?, which is obviously weak and unpositional, and after 16...Bd5 17. Bd5 should only lead to a draw with opposite colour bishops. 12. ef5! The black king is exposed and that could only be made use of by opening the game. If white misses that opportunity, black will close the game with f5-f4, further threatening a dangerous storm with g6-g5, etc. 12. g3 weakens the white king shelter. Stockfish does not see ef5, preferring moves like 12. b4 or 12. Re1 instead. 20...g5!, getting rid of the possible back rank mate and threatening Qe4. On 21. Re1, 21...Rc5 is quite strong, if 21. f3, then 21...g4! creates a powerful storming pawn, where fg4 leaves the e4 central pawn undefended. 21. Bd3 might draw the game, though. Stockfish prefers 20...g6 or 20...h6. 9. Nh3! 9. Nf3 e4 gains black too many development tempos and sets a powerful central pawn on e4, so simply compromise your pawn structure after Bh3 gh3, get the bishop pair and develop as quickly as possible. 17. h4!, white threatens g4-g5. After 17...c4 18. Bc2 Nfd5 19. Nf3 and g5 white has crushing advantage. Funnily, Stockfish does not see that line. 17. g4!, threatening to continue the assault with f4-f5, opening the black king position or wedging on f6. After 17...Ng6 18. Nf3, the f5 threat is still there, while 18...Be4 19. Re4 is not a better alternative. 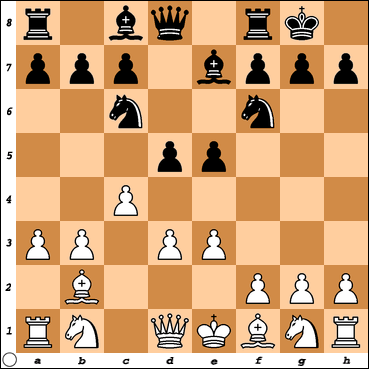 If necessary, white can even play Qh3-g3 and then h4, to strengthen the assault. It is always good to create such advanced pawn masses, especially on the side where the enemy king is. 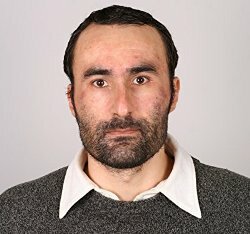 How should white recapture on c3? 18. Nc3 certainly leaves white much better, with decent winning chances, but 18. bc3! is the incomparably superior solution. The b pawn becomes more central c pawn, and, on the very next move, white can play c3-c4, with a deadly bind upon the d6 black pawn. Stockfish strongly prefers the alternative capture, 18. Nc3? 19...Bg4!! Tremendous move Stockfish will not see even after hours. There is not forced mate in all lines and the material gain at the end of a very long line is difficult to see, but one does not need to do all that to play the move. After 20. hg4 hg4, black opens the h file for its heavy pieces, while the f2 shelter pawn becomes permanently backward, which will spell doom for the white king at some point. 7. cd5!, no doubt this is the best move. White trades semi-central c for opponent central d pawn, which constitutes quite a substantial asset, and, due to its very flexible, although unadvanced, pawn structure, it is much better. Stockfish does not think so, however, preferring black. Frequently, top engines are more of a burden in the opening than an aid. So, dear reader, don't hesitate, and learn good positional chess from probably the world's best player.